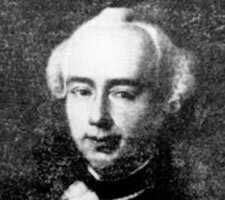 For more than ten years, beginning in January 1777, the German writer, journalist and musical virtuoso Christian Friedrich Daniel Schubart (1739-1791) was imprisoned in the fortress of Hohenasperg in the Duchy of Württemberg. 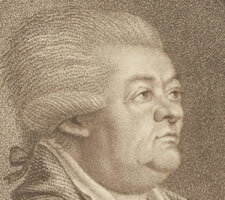 Christian Friedrich Daniel Schubart, engraved by Johann Michael Söckler from a work by Christoph Nikolaus Kleemann, before 1781. Image: ©Tobias-Bild Universitätsbibliothek Tübingen. Hohenasperg had a dark reputation, a notoriety that had spread well beyond the borders of the duchy. 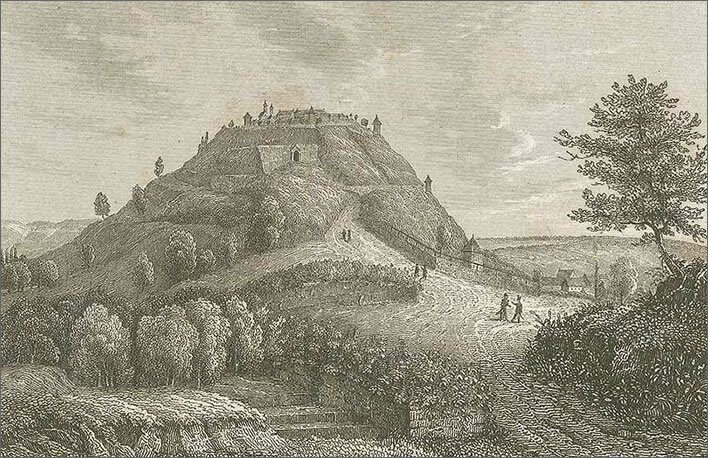 It sits on the top of a steep-sided mound that rises about 100 m above the surrounding plain. Some joked that it was the highest mountain in Germany – it took so long to get down from it. 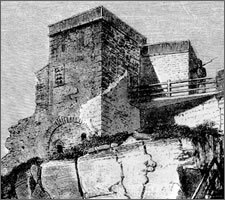 For the five hundred years before Schubart's incarceration it had been used more as a place of imprisonment and torture than as a military stronghold. Three views of Hohenasperg. 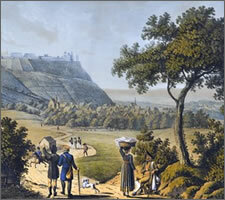 Top: The fortress of Hohenasperg and the road from the north, 1860. Image: Landesarchiv Baden-Württemberg, Abt. Hauptstaatsarchiv Stuttgart. We covered last year Schubart's background and the events leading up to his detention, but the summary is simple: he was lured on to territory where he could be captured by the Duke of Württemberg's agents. Calling the capture an 'arrest' would imply a legal formality which was not present. He was never charged of any crime, let alone tried or convicted, but instead taken straight to prison. 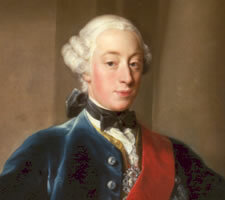 Now, 240 years after his arrival in Hohenasperg, we'll look at the remarkable features of the ten years he would spend there as the unwilling guest of Duke Carl Eugen (1728-1793). 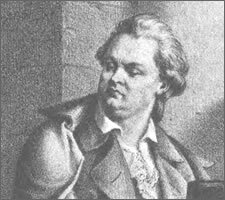 On his arrival he was taken to his cell under the gaze of Carl Eugen and his wife Franziska (1748-1811), who were looking down on him from a window. [Leben 2:144, 2:146] It was the dead of winter. The Duke and Duchess had left the warm comforts of the great palace in Ludwigsburg and travelled the five kilometres to Hohensperg along snowy roads. Seeing Schubart tossed into a dungeon was obviously worth all the discomforts. And there can be no doubt that Schubart was also intended to catch sight of them – not just the Duke but his wife, too. 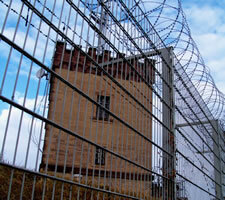 His imprisonment was not a judicial act – it was personal. Two aerial views of Hohensperg. 'Schubart's Tower' is marked in red. Top: A photograph from 1950. 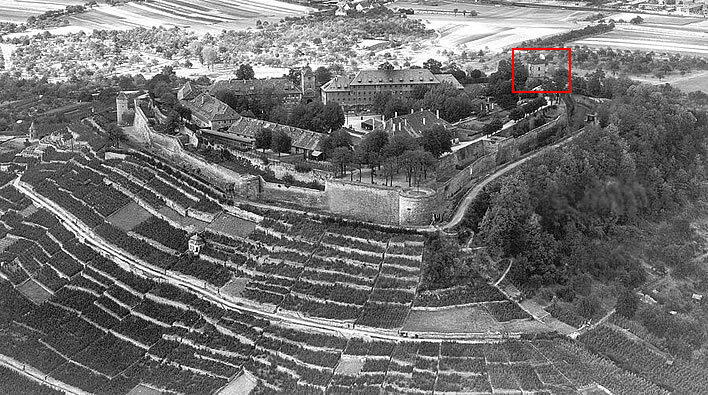 At the end of the war the fortress became the 'Camp 76 Internment Facility' run by the US Seventh Army. The guard towers installed by the Americans can be seen at the corners of the outside wall. Bottom: A modern photograph. Image: HdGBW. The fortress now houses the Justizvollzugskrankenhaus Hohenasperg, a psychiatric prison. The dungeon cell in the tower had a kind of stove that had been lit before his arrival. As he entered, the cell was full of smoke, that got so bad in such a short time that he thought they were trying to put an end to him in this fashion. He pressed his face into the straw bed and commended his soul to God. He was brought to the room of the commander until the stove could be repaired. The first thing that he did was to go to the piano and played an unchained fantasy that released the cares pressing down on his heart. The Duke liked to tell this anecdote with great enjoyment to various strangers. Hauff Hauff, Gustav. Christian Friedrich Daniel Schubart in seinem Leben und seinen Werken. Stuttgart: Kohlhammer, 1885. Holzer Holzer, Ernst. Schubart als Musiker, Kohlhammer, Stuttgart, 1905. Series: Darstellungen aus der Württembergischen Geschichte, Bd. 2. Hoven Hoven, Friedrich Wilhelm von. Biographie, Verlag Schrag, Nürnberg, 1840. Kerner Kerner, Justinus. 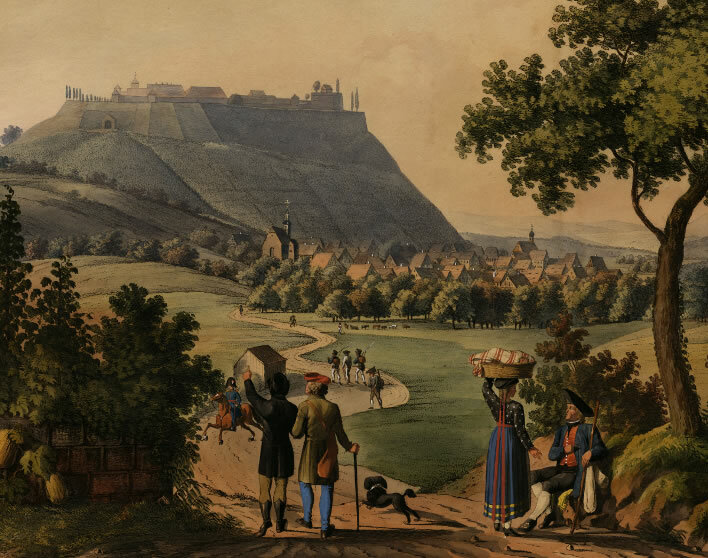 Das Bilderbuch aus meiner Knabenzeit, Bieweg und Sohn, Braunschweig, 1849. Müller Müller, Wolfram. ‘War die Schubart-Zelle Schubarts Zelle?’ Beiträge zur Landeskunde 6 (1987): 11–15. 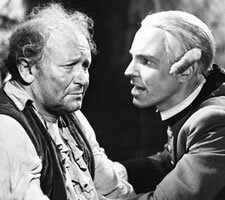 Ranke Ranke, Wolfgang. Schiller, Schubart und der Hohenasperg. Marbach am Neckar: Dt. Schillerges, 2009. Spuren 86. 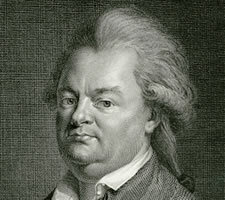 Kerker Schubart, Christian Friedrich Daniel. Gedichte aus dem Kerker, Orell, Geßner, Füßli und Co., Zürich, 1785. 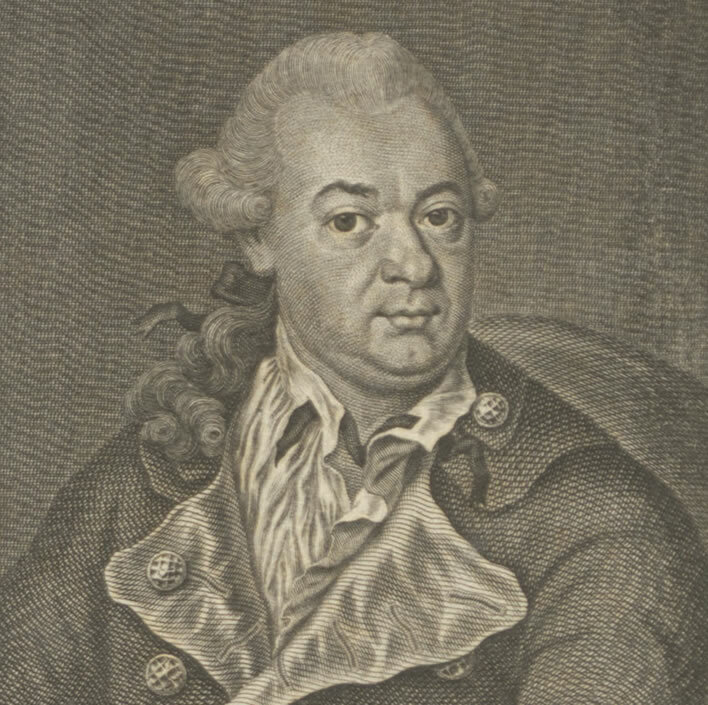 Leben Schubart, Christian Friedrich Daniel. Leben und Gesinnungen, zweiter Theil, Mäntler, Stuttgart, 1793. Gedichte —. Sämtliche Gedichte, 2 Bände, Carlsschule, Stuttgart, 1786. Karakter Schubart, Ludwig. Schubart's Karakter, von seinem Sohn, Erlangen, self-published, 1798. 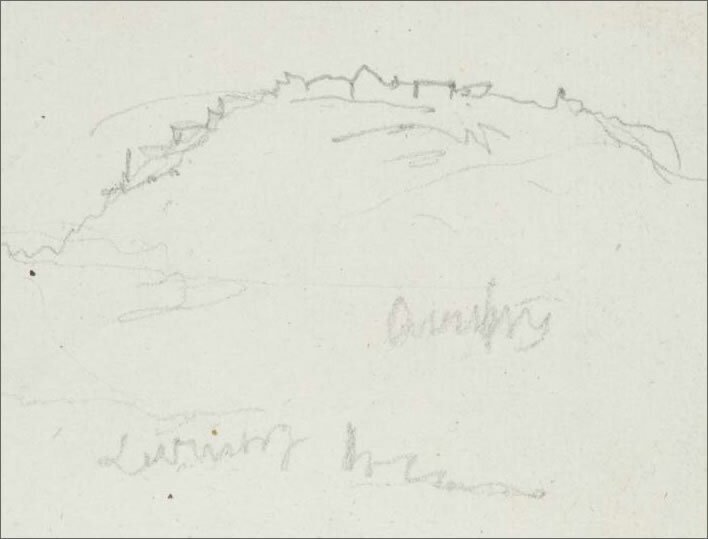 Briefe Strauß, David Friedrich. 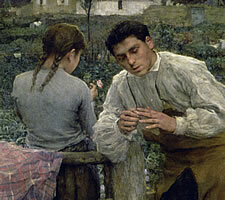 Schubart's Leben in seinem Briefen, 2 Bände, Emile Strauß, Bonn, 1878.